Dynamite Comics revives two classic heroes in an ultimate team up that will have any fan rejoicing. This is not another satirical look at the Lone Ranger or the Green Hornet. This is a period piece that finally, puts our heroes in the same era and it’s brilliantly interwoven within historical facts and figures of the time. Written by Michael Uslan (yes, that Michael Uslan! ), art by Giovanni Timpano, and covers by John Cassaday and June Chung. 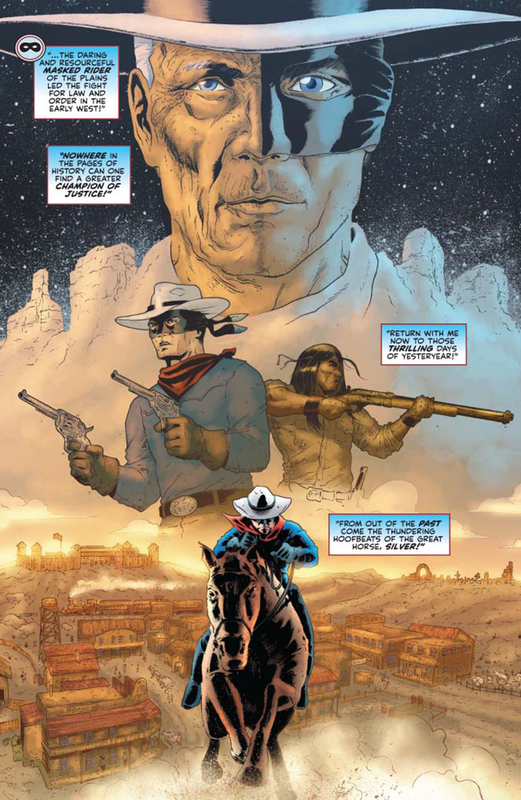 The Lone Ranger Green Hornet #1 invites you into their universe by introducing a now worn and retired John Reid and Silver as he explains the legacy of the Lone Ranger and his fight for Justice to a group of children. Dan Ried is also introduced as well as his lollygagging son Britt who is looking to make his own mark in life. 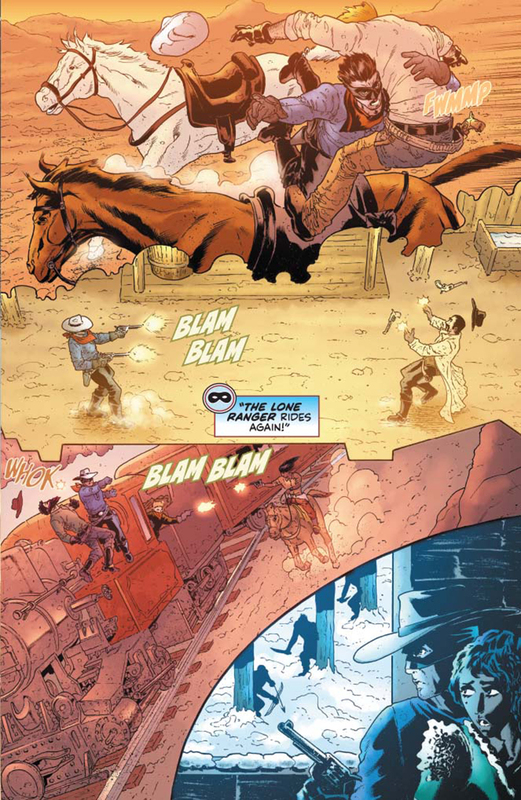 Uslan sets this tale in 1936 Chicago which allows WWII to be the backdrop and part of the reason why The Lone Ranger may come out of retirement in the upcoming issues. He also does something in this book that has never really been fleshed out with these characters which is the family dynamic, John’s relationship with Dan, and Britt Reid displays formidable generational differences between them. 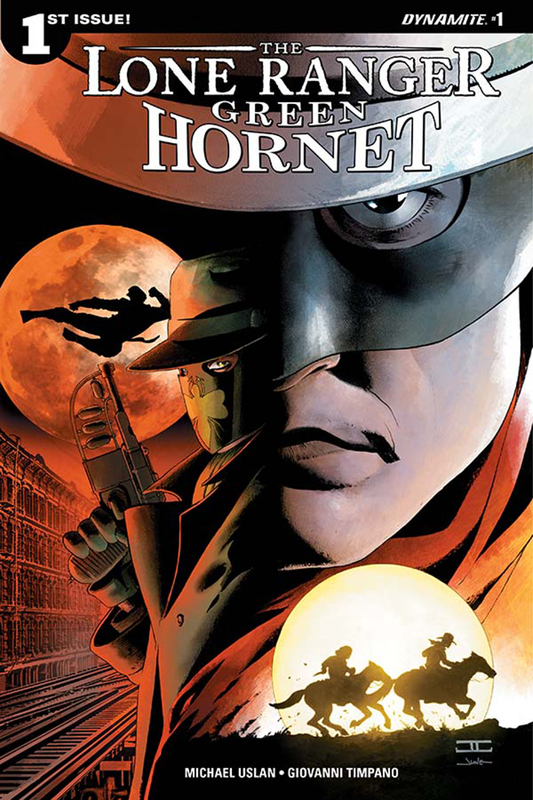 Uslan is also able to weave The Lone Rangers history with that of the Green Hornet making this one awesome origin story. Generations aside, it takes one historical figure to approach them and open their eyes and thrust them into a new adventure together to defeat an old foe. While the script is true hero, the story jumps off each panel thanks to artist Giovanni Timpano and colorist Pete Pantazis. These men know how to create a lens of 1936 with familiar hues and colors that really stand out and can distinguish between flashback and real time for the reader. All in all, if after reading issue #1 you’re not completely invested to see what happens next then perhaps you may not have a pulse! This issue was a great first act that I’m sure is going to lead to some old-school Hollywood action that we have yearned to see.